EPA Fuel Economy: Estimated 26 mpg combined, 24 in testing (S). Estimated 27 mpg combined, 30 in testing (S E). 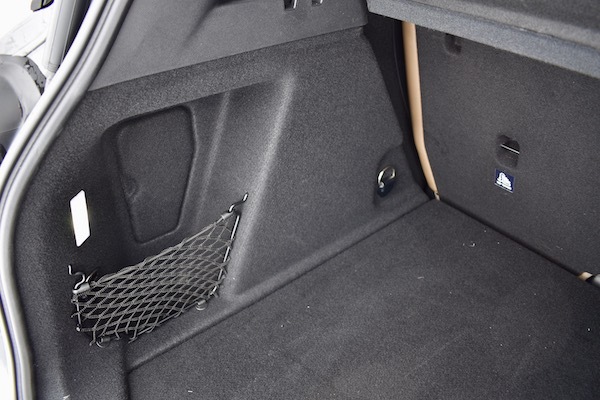 Interior Space: Five seats, 17.6 cubic feet of cargo space with configurable second row up. Two seats, 47.6 cubic feet with second row down (S). 0.4 and 0.2 less respectively on S E.
Quick Take: Style is more important to some people than substance... But that doesn't mean it's okay for Mini to shortchange them of the latter. 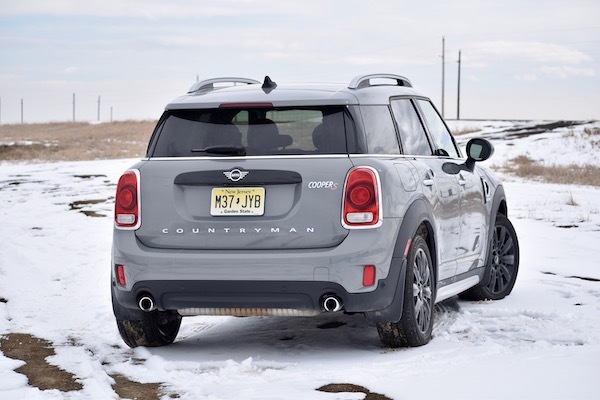 When you hear "Cooper Countryman All4," what Mini wants you to conjure up is a small, sophisticated all-rounder, one as capable and economical as it is fun to drive. Those traits are often diametrically opposed, but they've been known to sometimes meet under one roof—and when they do, it's cause for celebration. 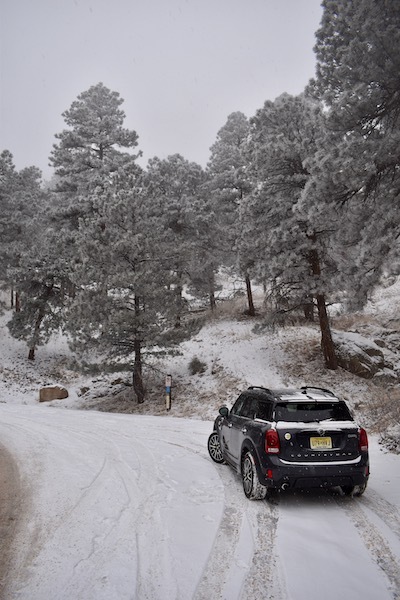 We spent a couple weeks driving both the gas-powered 2019 Mini Cooper S Countryman All4 and plug-in hybrid S E Countryman All4 around a wintry Colorado earlier this month to determine whether the promise of a true do-it-all Mini is fulfilled in either form. 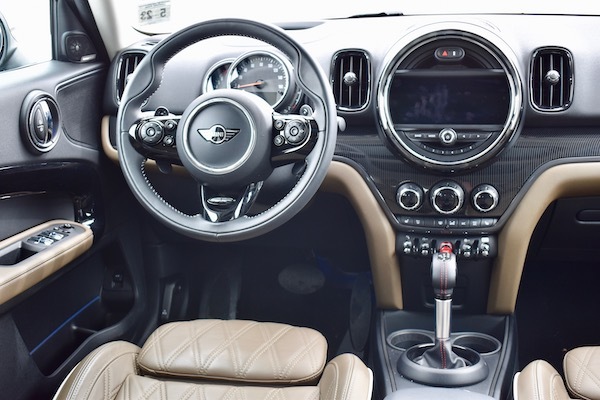 In contrast to what you'd expect, the Countryman is in no way miniature, being the largest model in Mini's lineup. Despite coming in almost 50 percent longer than its old Austin namesake, it retains its forebear's rounded lights, pouty-faced grille, and subtle chrome highlights. Whether the Countryman's styling is cute and contemporary or a retro cliche is a matter of opinion; Mini banks on customers believing the former, and the Moonwalk Grey Metallic paint job here certainly does the trick. 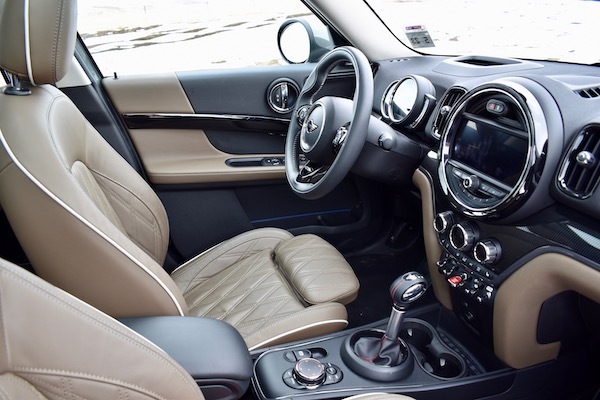 Within, function has taken a back seat to form, though this isn't to say that the Countryman's interior falls short of the mark. Its dash is a simplistic combination of a speedometer and either a tachometer or battery charge indicator if you've gone the plug-in hybrid route. Nearby in a dial-like slot of its own is the passable infotainment system, which functions more as a roadblock if you've smartly sprung for optional Apple CarPlay. Speedometer and navigation functions can be aggregated into a heads-up display, another useful option that you could just as easily do without. Both vehicles tested featured a premium Harman Kardon audio system, which is perfect for drowning out both the considerable road noise and occupants' creaking spines. 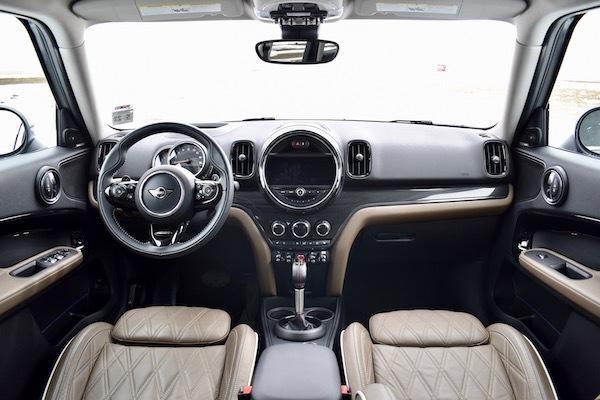 Despite the Countryman boasting leg, head, and elbow room to accommodate men whose height is in the 90th percentile—Mini is just a state of mind at this point—the front seats' lumbar support and bolstering do not seem tailored to fit anyone larger than the average woman, and were unsupportive for the mid and upper backs of passengers and drivers alike. 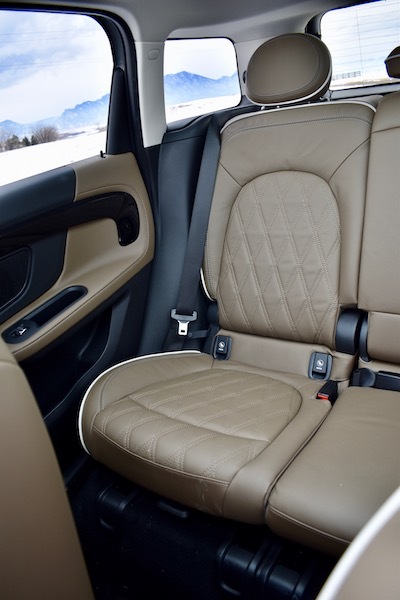 The problem was worsened by the JCW Appearance Package's stiffer "sport" seats. Questionable ergonomics can also be found in the semicircular door handles inside, which require you to contort either your hand or shoulder to slip your fingers in. These also feature the questionable decision of lock buttons on their face; buttons whose wires will fatigue with years of bending each time the door is opened from inside. It's just asking for electrical issues down the road. The Countryman's second row has clearly been the subject of thought, if not any of a particularly rigorous sort. 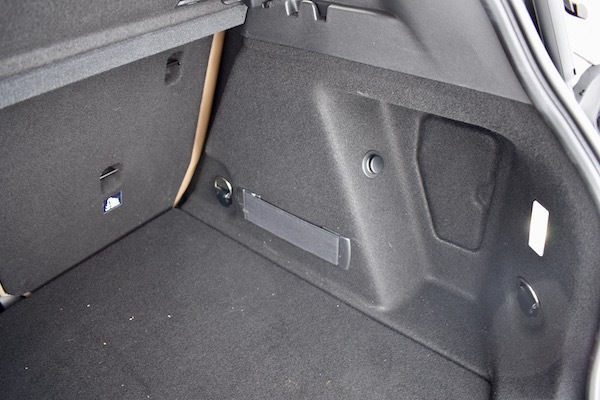 It too has deep door pockets perfect for everything from sippy cups to Super Big Gulps, coloring books to Kindles. 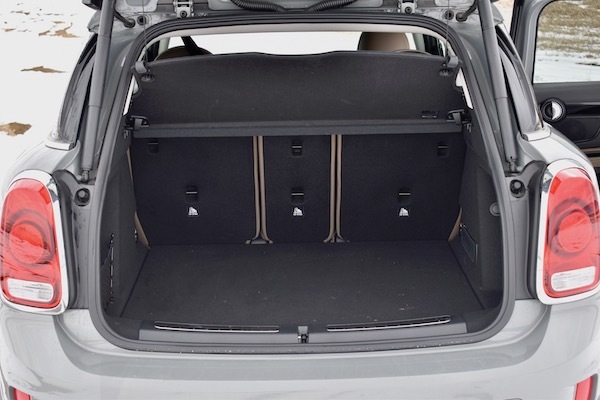 It has plenty of child seat anchors, and all three of the rear seats can be folded down independently, allowing skis to be stored lengthwise. Unless you have a fifth passenger, the center seat probably ought to be down all the time, as its headrest obstructs the rear-view mirror. But ticking a few boxes on a checklist of "practical stuff" does not make the Countryman a practical, sensible everyday car. 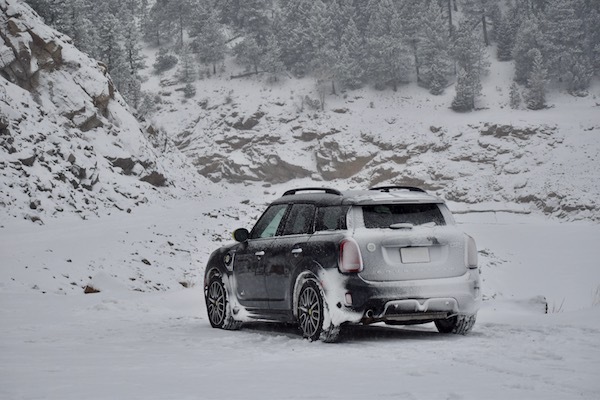 These days, you have to go out of your way to buy something that doesn't fit a small family and their luggage, so cars have to have something else on offer, like gas mileage, comfort, or an enrapturing driving experience—none of which are areas in which the Countryman stands out. With automatic start-stop and only part-time all-wheel-drive, the Countryman S should be more than capable of its advertised 26 mpg combined while whizzing around. Instead, it wheezed down the road barely barely achieving 24 mpg at the end of the week. Meanwhile, the S E hybrid beat its own estimated 27 mpg, averaging almost 30. That's good considering they make fountain drinks bigger than its ten-gallon tank these days. But the S E hybrid having better mileage isn't reason enough to buy it, as it costs another $5,500, meaning it would take several hundred tanks to break even—hundreds that it may not survive. Mine had scarcely 2,200 miles on it and a check engine light already, one belonging to a problem so mystical that the Mini dealer couldn't divine its cause and insisted on taking it in for a service. No, if there's any reason to buy the hybrid, it's that it's significantly faster, with 32 more horsepower and 77 more pound-feet of torque. As a grumbly little three-cylinder, it's more characterful than the four-cylinder, and louder to boot. But there's also a significant downside to going green. 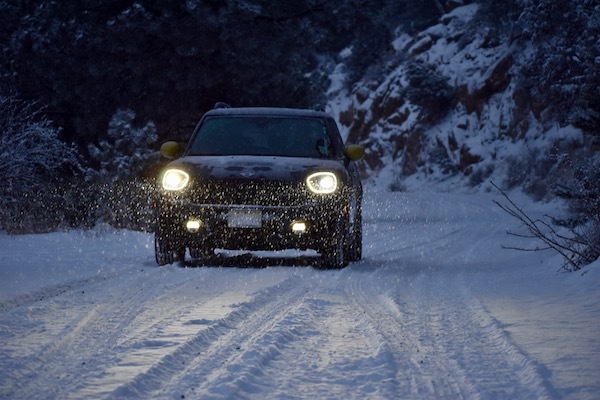 Mini doesn't offer Dynamic Damper Control on any Countryman hybrid. It may sound inconsequential, but the differences between the two are night and...just before sunrise, maybe. Without it, the S E had far too firm a ride, and with it, the S was nearly tolerable. 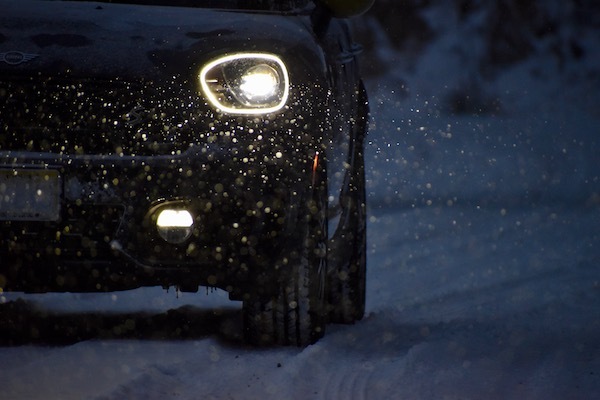 To the suspension's credit, its stiffness has made the pudgy Countryman capable of cornering like a hot hatch, and with the traction control off, the all-wheel-drive will even let it do little slides in snowy parking lots. These won't be artistically controlled slides—the steering is vague, the brakes jerky, and the throttle drowsy—but they'll be slides nonetheless, possible even in the dampened "Green" driving mode. Almost every promise laid out by the Countryman's name hasn't really come to pass. It isn't exceptionally practical, sporty, economical, or even comfortable for its price point—all hallmarks of this Mini's namesake. It's a product that looks like its Austin predecessor but shares none of its virtues. It's successor in name only. I'd be willing to write it off as the product of a corporation out of touch with its roots...if not for the fact that the Countryman feels like a car that Mini expects people to buy for its badge. But Mini shouldn't have to cash in on its good name to sell cars. 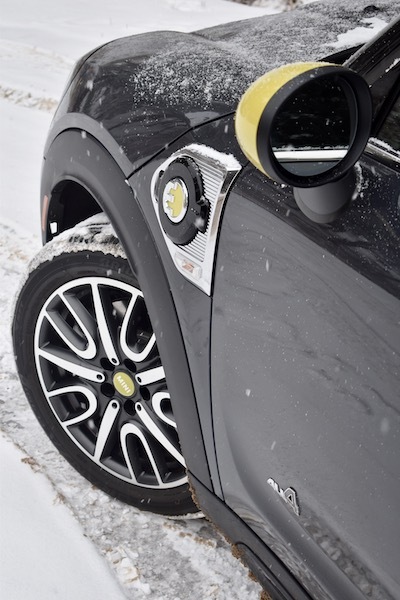 Amidst today's electric car renaissance, and rumors that Mini's first electric vehicle will be a hot hatchback, Mini has a chance to make a deposit in the bank of good will instead of ever more withdrawals. The Mini Cooper S E is slated for a 2019 unveiling. The new Edge ST is Ford's shot at putting some pep into its crossover lineup. Manage your expectations, and you'll find it a pretty satisfying ride. The all-electric Leaf Plus now packs 226 miles of range, but is that enough in today's world?